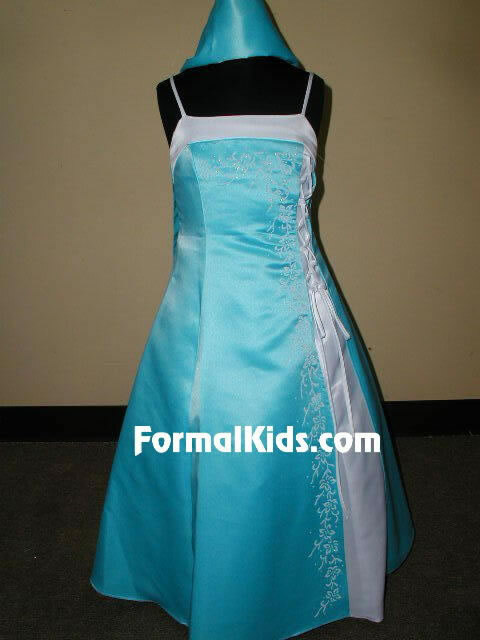 stunning girl's formal dress, satin finish gown accented with unqiue side split. white panel instert with lace-up style design. dress is accented along white tirm with white caviar beaded design in a cascading floweral design. 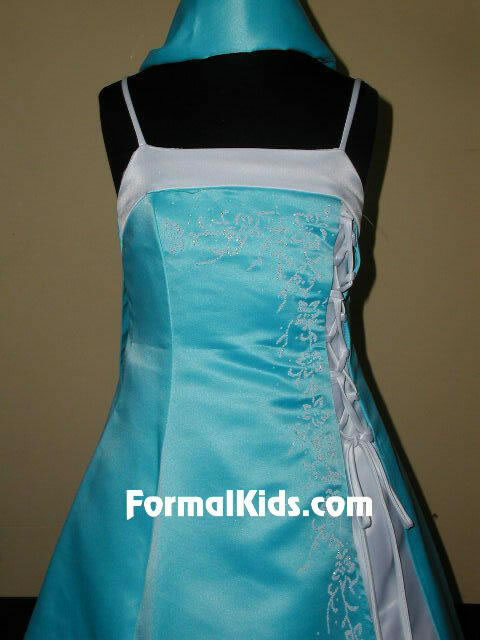 sash tie at waist in back allows you to tighten or loosen as needed. matching shawl included. headpiece shown at neck sold separate, fancy crown. dress shows beautifully due to great contrast in color and beadwork! *matching socks, shoes, slip, gloves, and hair accessories available. see children accessories.